Located on the second level in the Fairmont Pacific Rim hotel, Botanist’s decor matches its food philosophy. Showcased by four distinct sections – a dining room, cocktail bar and lab, indoor garden and a champagne lounge – the elegant casual eatery is bordered by floor-to-ceiling glass, limestone, whitewashed woods, ornate metalwork and planters filled with greenery indigenous to our province. There are more than 250 plants in Botanist, which provides some separation between each distinct section. Those poignant connections to the land also played a significant role in sparking Hector’s interest in food. A natural when it comes to cooking, he worked his way up at several top restaurants across North America. His big break came in 2007, when he moved to Miami and began working with mentor and renowned James Beard Award recipient, chef Michelle Bernsten, at Michy’s. Hector moved to Vancouver in 2013 and soon became the senior sous chef at the much-touted Hawksworth Restaurant. For Hector, highlighting terroir (the conditions in which food is grown or produced) on the menu isn’t just taking the local trend to the next level. Rather, it’s about “honing local into a flavour narrative that is at once simple yet complex.” Each dish seems to connect to a deeper farm-to-fork connection. Whether it’s the eatery’s root vegetable salad with fava, garbanzo, avocado, burrata (from the Okanagan) in a lemon vinaigrette, the exquisite herb-crusted lamb saddle or the fork-tender oven-roasted halibut with spring vegetables, Hector creates culinary masterpieces. 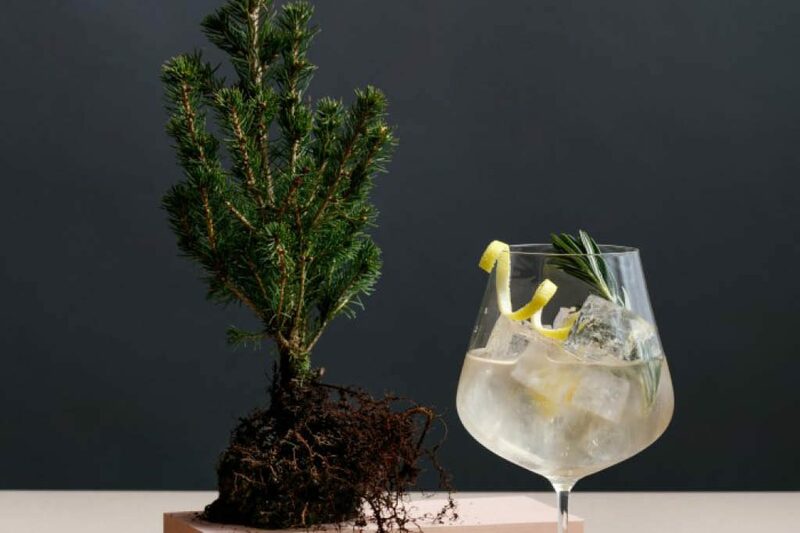 Vancouver’s cocktail and wine craze has many restaurants vying to present the most memorable beverage. Botanist took that one step further by featuring a boutique selection of sustainable, organic and bio-dynamic wines from around the world, as well as botanical cocktails, craft beers and champagnes. Botanist wants you to delight in the unexpected, with wines you won’t likely see on any other eatery’s menu. “I wanted each wine to reflect a place, a true expression of its varietal,” says Jill, adding that all the wines by the glass are exclusive to Botanist. Some of Jill’s treasures include the Matsu El Picaro, a 100 per cent Tempranillo from Toro, Spain, as well as a 2015 Alois Lageder Pinot Grigio from Italy and a Domaine Calot Morgon Cuvee Tradition from Beaujolais, France. Botanist offers up the best of soil-driven food and drink in an atmosphere that is just as natural and real as its cuisine.